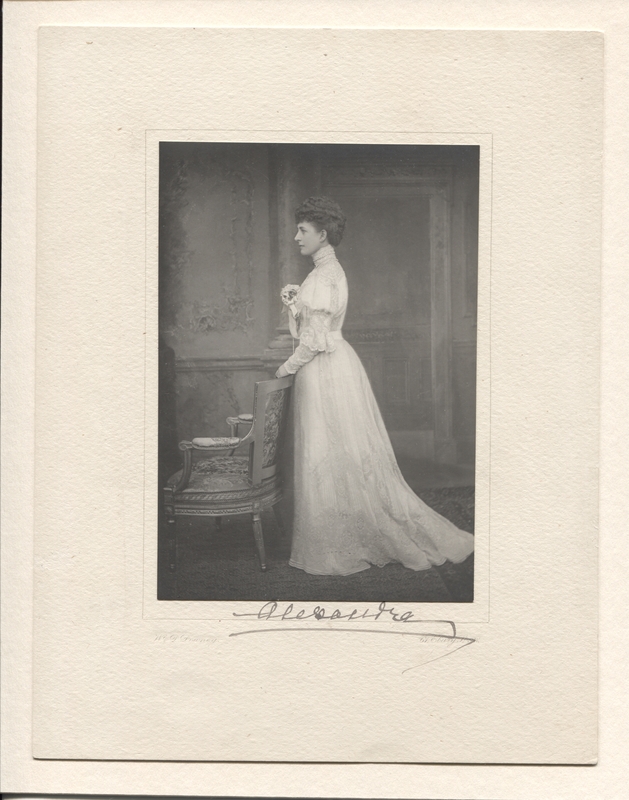 A rare image of Queen Alexandra that was used for the 1908 book of the Queen&apos;s Photographs called Photographs from my Camera as the frontispiece. She looks remarkably young considering that she was 64 when this photograph was taken. It was said to be the Queen&apos;s favourite image of that period.